Many of us still remember Lloyd Cele as the baby-faced Idols contestant who stole our hearts with his big smile and silky-smooth voice. Watching him ooze charisma as the lead in Let’s Get It On – The Life and Music of Marvin Gaye felt a bit like seeing our little brother all grown up. The show tells the story of Gaye’s life through anecdotes, as well as the music that made him an R&B legend. Cele was expertly supported by The Funk City Band – a group made up of Australian and local musicians – and Vika Bull, who represents the different women in Gaye’s life. Bull’s vocal range is incredible, making it easy to see why she has backed artists such as Billy Joel and Sting. As the evening progressed, Cele eased into the role and became more relaxed in his performance. 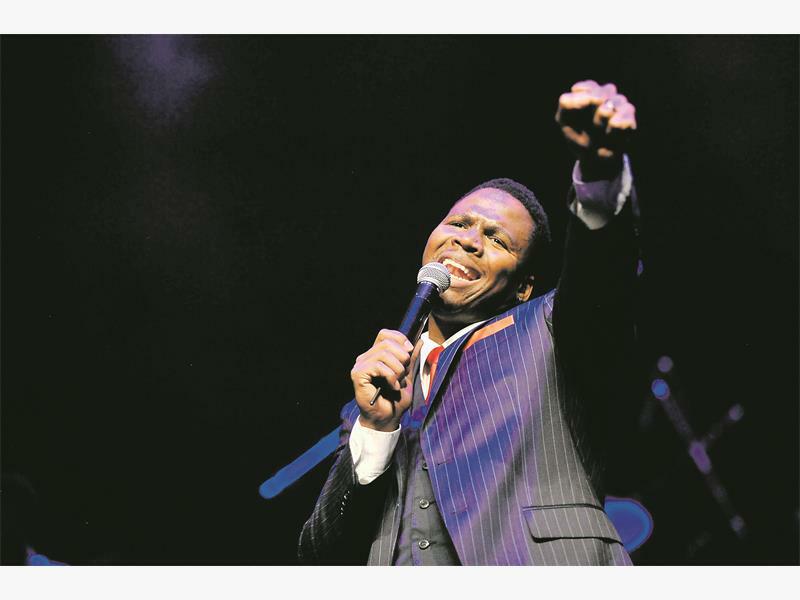 His rendition of the show’s title track was definitely the highlight – Cele belted it out with such raw emotion you couldn’t help but get caught up in the moment with him. But the success of the show doesn’t only lie with its performers. Gaye’s talent really is the star. Today’s musos could learn a lot about creating music with soul from songs like Abraham, Martin and John and You’re All I Need To Get By. As someone who didn’t know much about Gaye, I found the music was made even more poignant by the tales that went along with it. If you’re looking for a big production, this isn’t it. However, if you want to watch a show that draws you in using charm and good old R&B, get to the Joburg Theatre.